Larry Chiang maintains the illusion that he is naturally a good sales person. He is not. 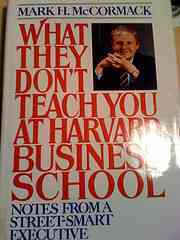 He learned it from reading books like “What They Don’t Teach You at Harvard Business School”. In the column, Larry reveals “How to Give Good Phone”. 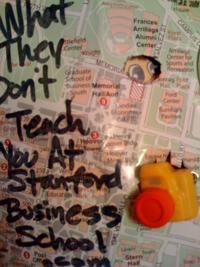 When I went through the Young Producers Program at USC, I heard the expression, “learn to give good phone”. It stuck cuz I work the phone better than anyone I have ever met. 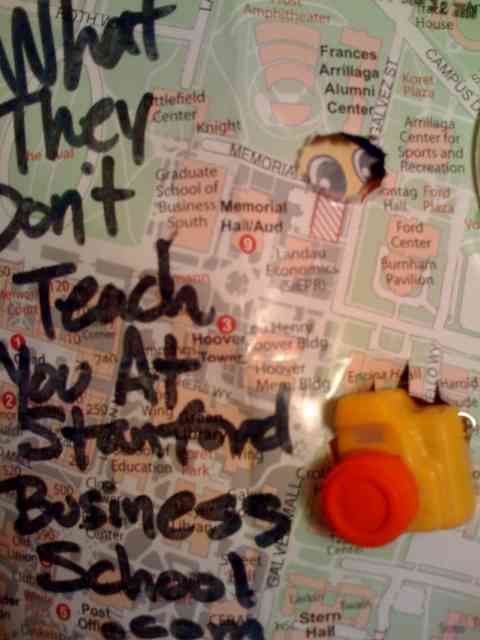 Put me and my two phones with full charges in any city in the U.S. of A, and I will outflank a team of MBAs with a three month head-start. Business is about contacting people for money. Read and use this column so a phone in your hand will be more deadly than a Jedi with their lightsabre. Read on my young padawan. Read on. -1- Man-Charm the Male Assistant. The assistant to the CEO is the president of the company. I firmly believe that giving good phone means making work more pleasant. The goal of your call is be their vacation. No one takes the call of the person bringing them more pain and greif. But everyone looks forward to a sales call that entertains. -3- On Hold Traffic Controlling. ATC dudes are studs. ATC stands for air traffic control. They work in a pressure packed environment and can have a holding pattern of ten or more. Work the phone as an ATC pro by a) pre-putting-them-on-hold, b) learn to multi-track conversate and c) ebb and flow where you roll between phone lines effortlessly. -4- Talk Auditorily, Visually and Kinesthetically. People process information in one of three preferred methods. Auditory is liking how stuff sounds. Visual talkers speak fast and in stacatto. Kinesthetic speakers talk with feeling and umpff. Larry wants to put McCormack’s book back on the NY Times best seller list after a 20 year hiatus. -5- Use a Paper Call Record. Even if your company uses CRM, track your stuff on paper too. In carpentry it is measure twice, cut once. In giving good phone, we call once and record it in triplicate. -6- The Power of Triples. There is power in triplicate because we wanna leverage a successful call and keep the deal momentum moving forward. Sales people are notoriously horrible follow-upers. I outmanuver MBAs by following up like a community college valet parker. The critical last step is to cut and paste a next-step into an email follow up. Ideally, you save it as a draft along with a send date. -7- Push the Deal Along in Email. Closing a deal via email is hard. Read. Pushing the deal forward via email after giving good phone gets you closer to your dream deal. If you are cold calling, get them something useful and set aside your need to make short term money. The best relationships start with a transfer of knowledge. Close for their cell number. Close for their introduction to someone else you can sell to. Good luck working the phones. If you’re job searching and need a phone buddy, call me. I will inspire you to give good phone. Larry Chiang is a one of a kind. He is writing a sequel to a book he didn’t write, starred in a video game, testified before Congress and the World Bank, and marketed the movie right to his book INSIDE THE BOOK. His favorite quote is, “They don’t pay you to write, they pay you to promote”. His column in Business Week, “What They Don’t Teach You at Business School” is read by dozens of people a week Text or call him during office hours 11:11am or 11:11pm PST +/-11 minutes at 650-283-8008.